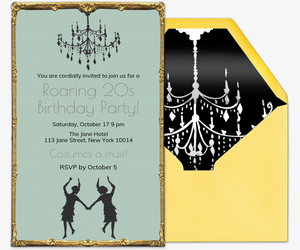 Eras, art deco, masquerades, and more -- you can throw a party around any theme you’d like with Evite. 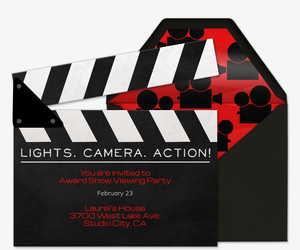 Choose from dozens of digital theme party invitations to set the tone for your event, big or small. 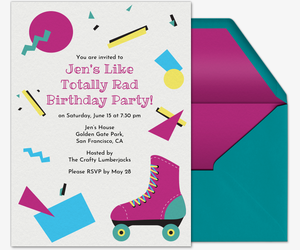 Our free and Premium designs feature invitations for decade themes (70s, 80s, 90s -- pick a favorite! ), kids birthday themes, seasonal themes, and more. 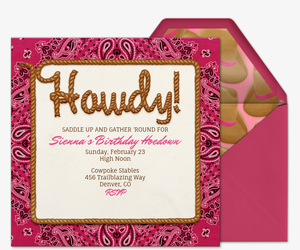 Paperless invitations are easy to personalize. Supplement your online invitation with a host message, custom polls, “What to Bring” lists, and even photos. Post comments, photos, and gifs in your invitation’s private sharing feed, viewable only by the party guests. You can even customize our upload-your-own and design-your-own invitation templates with your own images, logos, and artwork. Get your events started with Evite Premium, our advertisement-free experience for events that deserve an extra special touch. Premium digital invitations come with additional features such as digital envelopes, stamps, and inserts for photos and other written details. Pricing is determined by the size of your guest list. Head over to ideas.evite.com for creative inspiration for your theme party. Check out party guides, recipes, DIYs, free printables, and more around every kind of theme -- sports, graduation, decades, rustic and vintage, and specific holidays, too. Plus, see photos from and read stories about parties hosted by fellow Evite users. Planning a theme party around a specific milestone? You can also view our birthday for kids invitations to plan pirate parties, princess parties, superhero parties, movie-themed parties, and more. Or, check out our baby shower invitations, wedding invitations, graduation invitations, and viewing party invitations.